This Boeing F4B-4 model won an honorable mention in a model exhibition and contest sponsored by the Smithsonian in 1936. The Boeing F4B series served as the primary fighter of the U.S. Navy in the early 1930s. 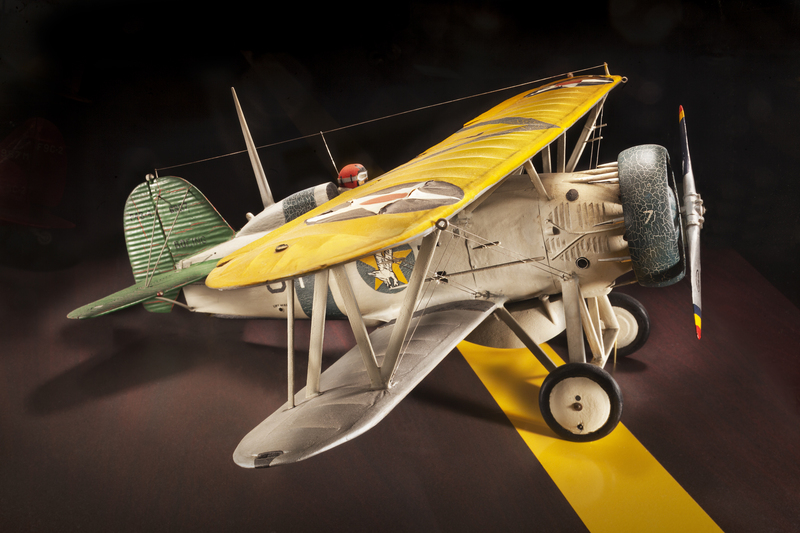 This model of the F4B-4, wearing the markings of Fighting Squadron Three (VF-3B) “Striking Eagles” USS Langley, circa 1932, won an honorable mention in a model contest held by the Smithsonian in 1936. Model contests were sponsored by the Smithsonian in several years during the 1930s and were run by longtime aeronautics curator Paul Garber, who was an avid model builder himself. Photo by Eric Long, Smithsonian National Air and Space Museum (NASM 2014-04812).